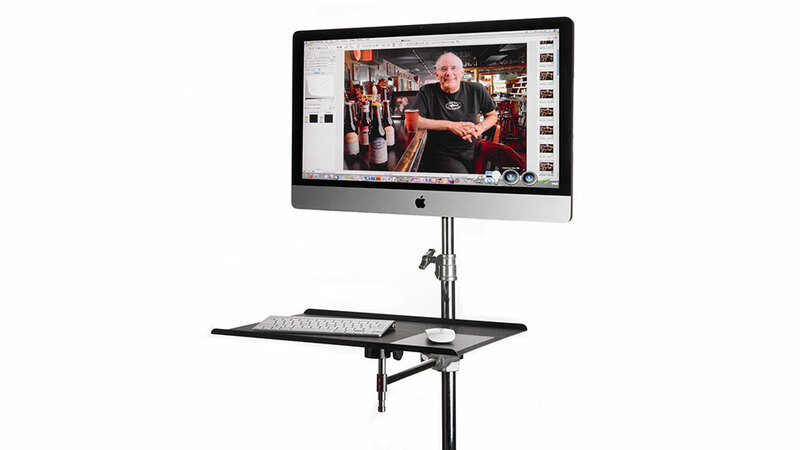 Each of the Rock Solid VESA Monitor Mounts are easy to set up whether you are working indoors or out on location. Mounting monitors on lightstands, tripods or other photo rigs is ideal for tethered image or video display as well as wedding, event or other shoots where video and slideshow playback is needed. VESA Monitor Mounts are also complementary tools for educational forums, classrooms and tradeshow visual displays. Which Mount is Right for You? Mounts to the standard 5/8″(16mm) baby stud. Supports weight up to 85 lbs (36.5 kg). Utilizing the LAJO4, mounts to 1/4″-20 tripod/ballhead mount, 3/8″ tripod mount, 5/8″(16mm) baby stud, or Arca-style integrated plate. Supports weight up to 35 lbs (15.88 kg). Mounts to 1/4″-20 tripod/ballhead mount or Arca-style integrated plate. Supports weight up to 35 lbs (15.88 kg). Sometimes you need to mount a bigger screen. If your monitor has a hole pattern greater than 100×100, we have a few different options for VESA Adapters.